Anyone who knows anything about fine art will look at this picture and immediately see the connection between art and mental health. Arguably Van Gogh is the most famous painter in the world, and there are few who recognise his paintings who don't also know something about his struggles with mental illness. Less well known is the fact that he was once a Catholic priest but was thrown out of the Church because of his friendly and familiar style of relating to his parishioners. This led him to reject the Church, and no doubt contributed to his mental and emotional struggles. 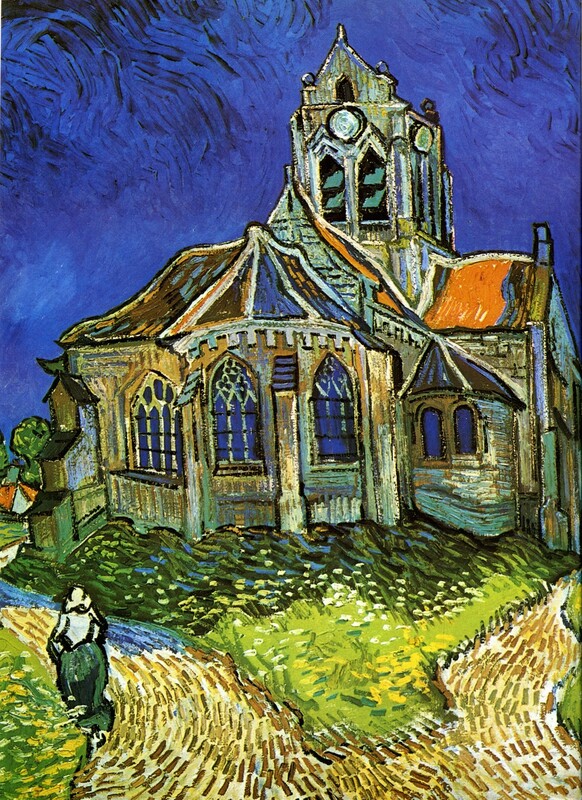 In the painting below of The Church at Auvers-sur-Oise it's been noted that Vincent didn't include a door. It has been suggested that this was his way of expressing a conviction that the church of his experience was a closed society, not making outsiders welcome, nor allowing insiders out to discover a greater reality than the restrictive religious institution would allow them to see. There's an interesting parallel between this and Holman Hunt's famous painting "The Light of the World", in which Christ stands at a door and knocks, seeking entrance (Revelation 3:14-22). The door is overgrown and has no handle on the outside. In evangelical Christian circles the picture is usually portrayed as a personal challenge―that's to say, it's seen to illustrate the need of the individual unbeliever to open the door of their heart to let Christ in, in order to receive eternal life. But the passage is actually aimed at a church―the dormant church of Laodicea―and the famous words, "Behold I stand at the door and knock", is aimed at believers! Just as Christ was rejected by His own people, the Jews, when He was here in bodily form, so today He is also rejected by many of His 'own' people within the Church. Indeed, He stands outside of many churches, pushed out by their comfortable introverted lifestyles and meaningless worship. (To understand what I mean by meaningless worship, read the Apostle Paul's famous hymn to love: 1 Corinthians 13.) 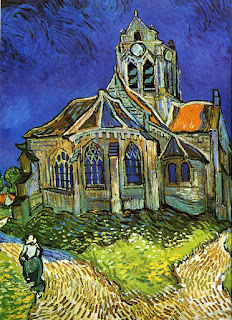 Such churches reject anyone, who like Vincent Van Gogh, comes along and challenges the status quo. Putting comfort before conviction, and tradition before truth, they are spiritually comatose, failing to see that, like the church of Laodicea, they are lukewarm and about to be spat out of the mouth of God. I too have frequently felt rejected by churches and church leaders, and understand all too well the emotional and mental anguish this can cause. 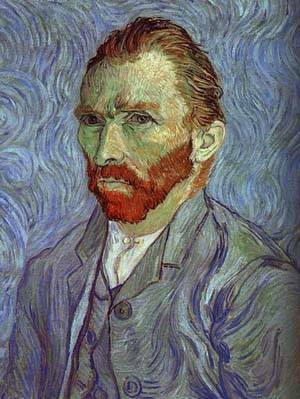 Vincent found emotional salvation, to some extent at least, in his work. If he had remained a priest it's likely he wouldn't have had the time to develop his art as he did, and the world would be a poorer place as a result.